Egypt's Ambassador to Serbia Amr El-Goweily said Saturday that an Air Serbia flight was set to land carrying 144 tourists, who will spend their New Year's holiday in the resort town. They are set to return home 4 January. 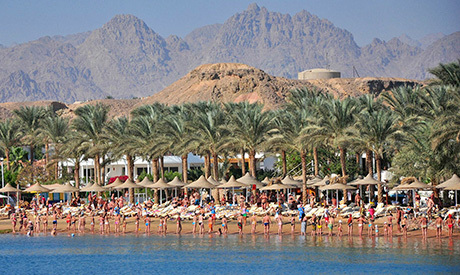 The flight comes after Air Serbia resumed charter flights to the Red Sea’s Hurghada this summer after a four-year hiatus. Egypt has been bolstering security arrangements at its airports nationwide since a Russian airliner crashed in 2015 after take off from Sharm El-Sheikh, leading to a suspension of flights to Sharm El-Sheikh and other Egyptian airports by a number of countries, including Russia and the UK. Several countries have since resumed flights to Egyptian airports.